Hosting a backyard birthday party or family picnic this summer? 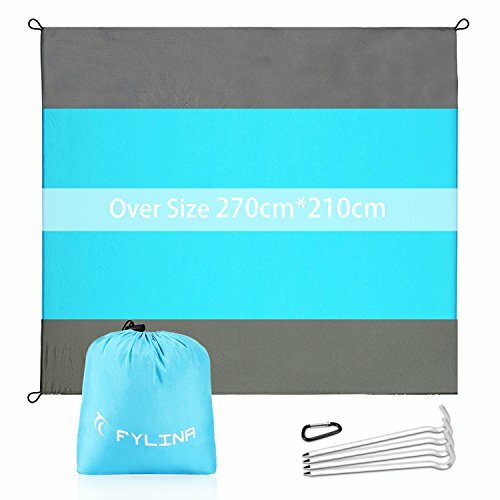 Everyone can get the grill going, but with this unique picnic gear, you’re going to step it up a notch! Everyone forgets sunscreen when they go somewhere other than the pool or beach. But kids (and grownups) can get just as burnt in your backyard. Get a mini cooler, and put a few tubes of SunBlocz 100% all-natural sunscreen in there, along with some ice packs. Hang a sign and parents will gratefully slather their kids up with cool, non-toxic sunscreen before sending them off to play. SunBlocz has more zinc oxide than the popular brands of sunscreen available: 24.5%! That’s a patent pending formulation! Water resistant to 80 minutes and also repels bugs for the win! Made with all-natural waxes and oils, so you aren’t putting any toxic ingredients on your skin. 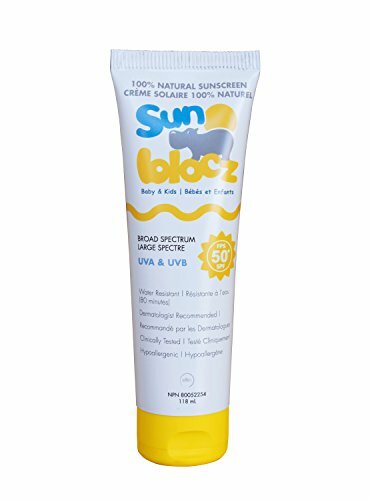 As a mineral sunscreen, SunBlocz uses zinc oxide to physically block harmful sun rays; zinc oxide reflects the entire spectrum of UV rays and is the only ingredient in sunscreen that is FDA safe for babies and children. Other chemical screens get absorbed into the skin and then block the UV rays, but then your body is also sucking in hormone-disrupting chemicals that could harm you! Go for the natural and safer mineral sunscreen every time! Make little guests happy with a set of toys just picnic perfect for tiny hands. The New Sprouts Grill It is an adorable kettle-style grill plus soft play food for children ages 2+ lets kids show off their chef skills, safely! They can use the tongs to move food about, create burgers and serve up a tray of food! No mess, just tons of sensory play fun! The grill even doubles as storage afterwards. This play set builds hand-eye coordination, imagination, and encourages vocabulary and social skills. Bet you didn’t think you could get all that going at a picnic, did you!? 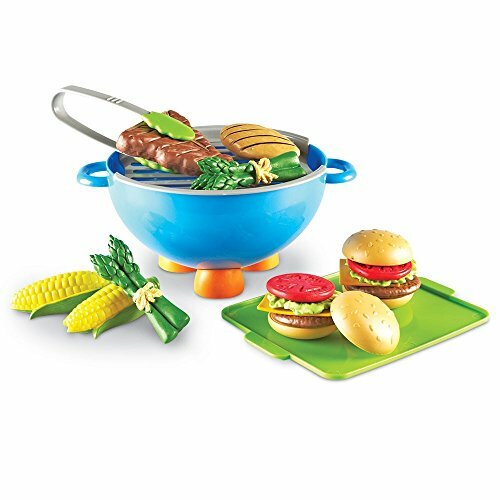 Find this grill set at Learning Resources. Retail $29.99. And check out more play food toys here. When I say ditch the trash – I mean don’t even bring it with you! With Green City Living’s line of reusable, ecofriendly food packaging, you won’t create so much trash at your picnic. Cover bowls with delightful Bowl Bonnets! Isn’t the woodland print adorable and perfect for a picnic? Potato salad and coleslaw will do fine under these laminated cotton fabric lids. Easy to clean, this 3-piece set covers a range of bowl sizes. (These are perfect for when you lose a lid or one gets melted in the microwave!). Reusable Eco-Baguette Bread Bags work great for a long sub sandwich or a loaf of fresh bread. However you slice it, your bread stays fresh and soft, because the laminated cotton and silicone ripstop lining protects it from drying out. The handy silicone tie and included terracotta Bread Saver further reduces drying. These bags are machine washable and free of BPA, Phthalates, lead & PVC. 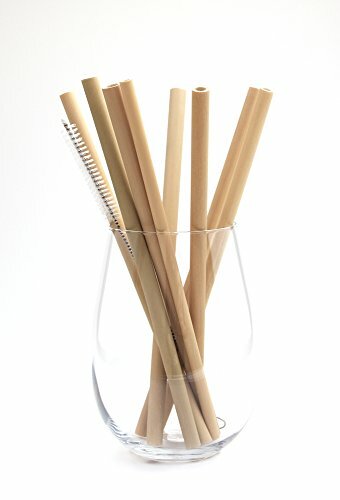 Serve beverages with a My Last Straw – an organic bamboo straw alternative to throwaway plastic straws. These lightweight straws can be washed and so can the adorable carry bag they come in! The bag makes use of fabric remnants at Green City Living, which is awesome! Stainless steel straws are also available. Picnic on the go? 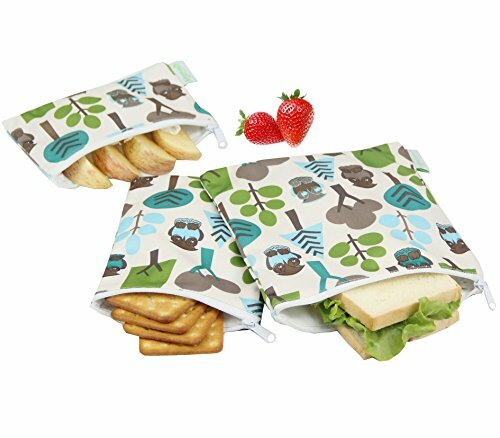 Pack snacks and sandwiches in oh-so-cute printed Eco-Bag-It laminated sandwich bags. Available in three sizes: Snack, Sandwich, and XL Sandwich (my personal favorite!). I adore the bright and whimsical fabrics – just the thing to make picnics happier! Get a printed bag for each family member, and they’ll always know which items are theirs in the cooler! Find all these picnic goodies and more eco-friendly kitchen solutions at Green City Living! Retail $7.50-34.99. Serving iced coffee at your picnic? Use Kafe in the Box square reusable coffee mug for a funky look. It’s super light, and BPA free! And you reduce waste! This coffee mug is double-wall insulated to protect your hands. The Tritan inner liner doesn’t react with coffee flavors the way paper and styrofoam cups can. And, if you’re a hot coffee fan, don’t worry, the Kafe in the Box can be filled with a hot brew too! Clear walls let you see your beverage of choice. On your way home? This square container fits in most car cup holders! Get Kafe in the Box, Drink in the Box, and Snack in the Box at Precidio! Retail $15.99-17.99. Want to have the coolest picnic in town!? Wait till the sun sets, then break out the Cinemood, a portable movie theater that sits in the palm of your hand! The Cinemood comes pre-loaded with e-books, videos, and cartoons. Plus it can stream Netflix, YouTube, and Amazon Prime movies with your subscription to those services. Netflix videos can be downloaded to play anywhere without wifi access. Upload your own family videos and slideshows and hit play for a memorable family picnic event! 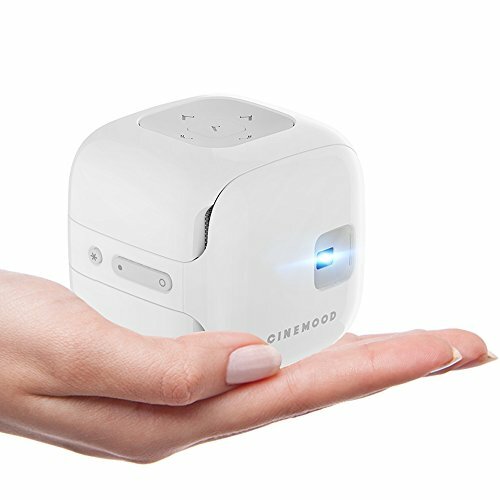 The Cinemood can be controlled via your phone, but it also functions as a stand-alone device that needs no computer/phone or outlet. Comes with a wall-charger. Buy the Cinemood here. Retail $399. Wow guests with a cool shaved ice dessert! Bring it up a couple notches when you set up a shaved ice stand in your backyard. With the Little Snowie 2! 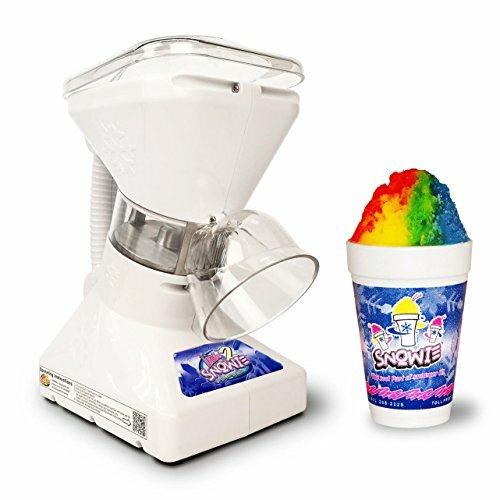 Home Ice Shaver, in just FIVE seconds, you will be handing out shaved ice cups to all your guests. It is so easy – I made a few for my boys at home in mere seconds. 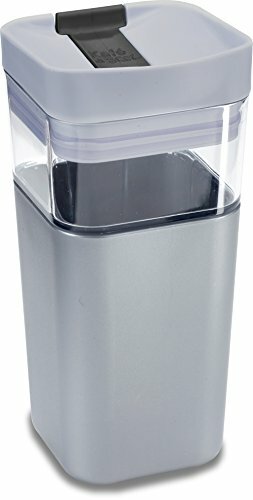 Just plug in, fill with ice, and then press the lid down while holding a cup under the spout. Out will come the fluffiest shaved ice ever! Pour on colorful flavorings, and you’ll have an icy, slushy dessert everyone will line up for! Good thing it only takes 5 seconds to make. Get the Little Snowie 2! for your home. Retail $199. Awesome outdoor games for your next picnic! Savory tuna chickpea salad – perfect for a picnic! 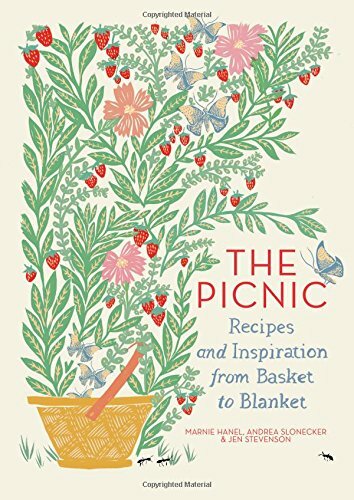 Win some picnic gear to take it up a notch! One lucky reader will win a set of Precidio Kafe in the Box containers and a Learning Resources New Sprouts Grill It toy. ARV $55. Enter in the form below. US Only. 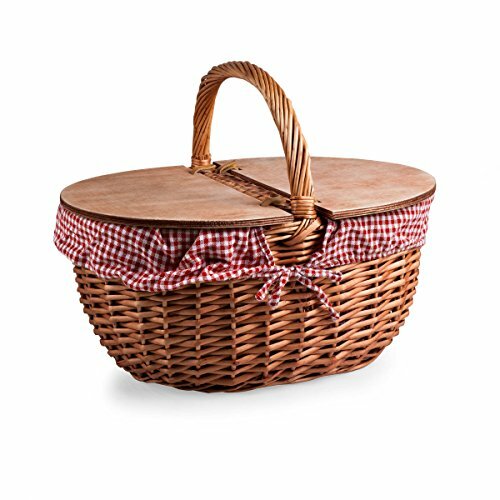 Get this picnic gear to step up your next outing! Pin this post for your next picnic! Thanks to the brands above for sponsoring this post. Product samples and compensation were provided. All opinions are my own. Such fun items for summer! Who knew movies could be so little? !